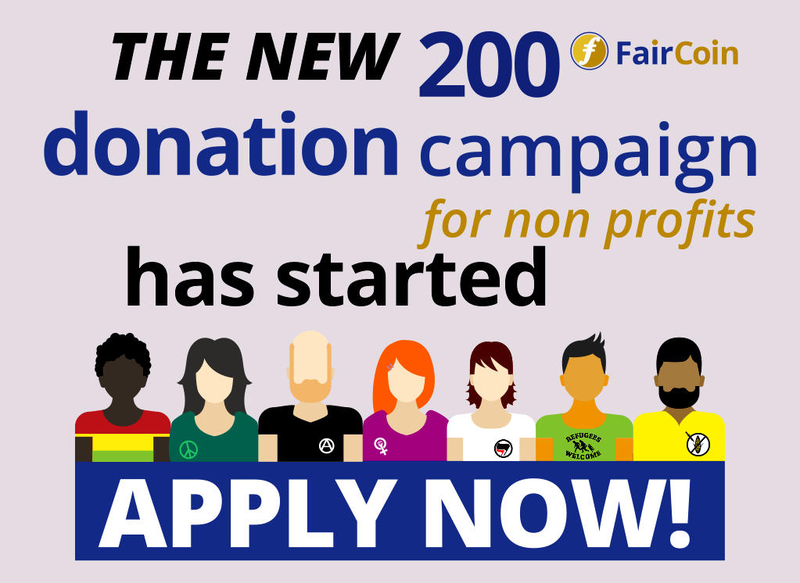 They may no plan to change the donated FairCoins back into euros but to spend them inside the fair economy: See places or products/services where you can use your FairCoins. Nous acceptons les #FairCoin de fair.coop. C’est une #cryptomonnaie éthique, écologique, guidée par les valeurs de l’économie circulaire pour aller vers la #révolutionintégrale. Aceptamos #Faircoin de fair.coop. Unha #criptomoeda ética e ecolóxica, adicada a construir unha economía circular e xusta e a contribuir á #revoluciónintegral. Accettiamo #FairCoin da fair.coop. Una #criptovaluta etica ed ecologica , con l'intento di costruire un'economia giusta e circolare e contribuire alla #rivoluzioneintegrale. Payment: 1 week counting when all the requirements has been satisfied and if nobody as opposed your candidature, it will be approved and your collective will receive the donation in the next monthly FC Common Management area assembly (see calendar). You are invited to join to remind the managers to send the payment. You can check the previous accepted candidatures here. Banners in other languages to share or to help translating this post for your local node. Download here.